All our partner sites are independently reviewed by our team of industry experts. We examine 10 different criteria and award a score out of 10 for each, adding up to a final mark out of 100. You can read a full description of our review process here. Unibet received a score of 88/100. Unibet is part of a huge online gambling network run by the Kindred Group. Other sites that are part of Kindred are Maria Casino, Stan James, 32 Red and iGame. Unibet itself is widely recognised as amongst the best online sports betting sites in Europe. 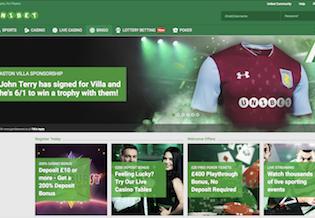 The Unibet UK name is perhaps not as big as other titans of UK online betting like WillHill and Bet365, but it still packs a punch and has increased its share in recent years with some effective advertising campaigns. In 2017 Unibet announced an agreement to become the Prinicpal Partner of Aston Villa FC. 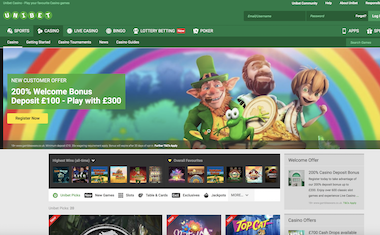 The brand tagline, By Players, For Players, suggests a customer-centric approach, and a quick glance at the Unibet UK website seems to back this viewpoint up. The Unibet Sign Up offer of a £30 risk-free bet is generous and certainly the match of most other UK online sportsbooks. When it comes to choice of markets there is plenty to get your teeth into, whatever your preferred sport. There is a great live streaming service, that is free to view for all registered customers. And a wide selection of cashier options makes this an easy place to deposit and retrieve your funds. All in Unibet is a solid sportsbook offering, which comes with the addition of a good looking casino, live casino, bingo, and more recently, lottery betting. Licensing comes from the Government of Gibraltar and the UK Gambling Commission. You can join up with Unibet in the UK right now and claim your £30 Risk-Free Bet, or you can read on for our full review of the site, betting markets, promotions and more. So, let’s start at the beginning. New players to Unibet get a £30 risk-free bet. It works like this: you place a bet of £1 or greater at odds of 2/5 or greater on any sportsbook. If your bet wins, you have completed the offer and you simple receive your stake and your winnings. However, if your bet loses, then you receive your stake back up to a maxium of £30 bonus money. Your bonus money comes with some conditions. You must wager it 3x over before you can withdraw it. Only bets with odds of 2/5 or greater count towards this wagering requirement. You also have 30 days in which to settle bets related to the bonus. There are various free bet and risk-free bet configurations on the market currently, including a set of 5x £5 free bets from Boyle Sports for new customers. To our eyes, this £30 risk-free bet from Unibet holds its own well in a competitive market. The Unibet site presents a full list of betting markets, with a wide range of sporting events to wager on, from mainstream books like football and rugby to more obscure markets like water polo, trotting and martial arts. This huge diversity in markets means Unibet in the UK more than holds its own against the bigger bookmakers with broader range. Alongside the traditional sportsbook betting you will also find live or in-play markets at Unibet. And the good news is, they are mostly accompanied by live streaming, allowing you to follow the action on all the bets you place. Aston Villa to Win Championship: As the principle partner of Aston Villa FC, home of course now to former Chelsea captain, John Terry, customers of Unibet get boosted odds on the midlanders winning the league. In-Play Free Bet Club: Every week place 5 or more £10 in-play bets with Unibet and get a free £10 in-play bet the following week. £40 Refer a Friend Promotion: Exclusive for the summer of 2017, every friend successfully referred to Unibet will earn you £40 – pure cash! Unibet’s UK sportsbook site is simple and easy to use. The standard sportsbook format is used, with the betting markets displayed down the left and in the center the odds for the selected events. The most imminent events appear at the top. You can quickly jump into popular markets, and across the top of the screen move into alternative products like Casino and Live Casino. Unibet offer customers separate apps for Sports, Casino, Live Casino and Poker. The exciting thing about the sports app, aside from the fact that you can bet on all the same markets as the full Unibet site, is the access you have to watch live streaming of sporting events. You can download the app now from the iPhone App Store and Googleplay. Unibet offer both a casino and a live casino experience. New customers get a 200% match bonus with their first deposit, and there are lots of exciting promotions available throughout each month, including cash drops and free spins. The casino games selection is varied and a match for any other online uk casino. 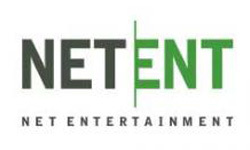 Game providers include NetEnt, Evolution, IGT, Play n Go, Microgaming and WMS. There is a wide variety of payment options available for customers of Unibet, including Visa, Visa Electron, uKash, Neteller, Paysafecard, Entropay and Moneybookers. Unibet’s UK site has an extensive help section, including FAQs, Live Chat, Email and Phone. Live Chat is the best option and is available 24/7. The Unibet brand is licensed in Gibraltar and the UK. This assures customers that the operation adheres to all regulations regarding customer security with regards to financial transactions, as well as fairness and trust in gameplay. Albania, Antigua and Barbuda, Argentina, Bahamas, Belgium, Bulgaria, Burma, Canada, Cape Verde Islands, China, Cook Islands, Croatia, Cuba, Cyprus, Germany, Ghana, Gibraltar, Greece, Guinea, Guinea-Bissau, Iceland, India, Indonesia, Israel, Ivory Coast, Japan, Laos, Liberia, Libya, Lithuania, Luxembourg, Macau, Macedonia, Malaysia, Mauritania, Mexico, Monaco, Morocco, Nauru, Netherlands, Netherlands Antilles, Nigeria, Niue, Norway, Poland, Portugal, Russia, Senegal, Serbia, Sierra Leone, South Africa, South Korea, Somalia, Sudan, Switzerland, Taiwan, Thailand, Turkmenistan, Uzbekistan, and Zimbabwe.